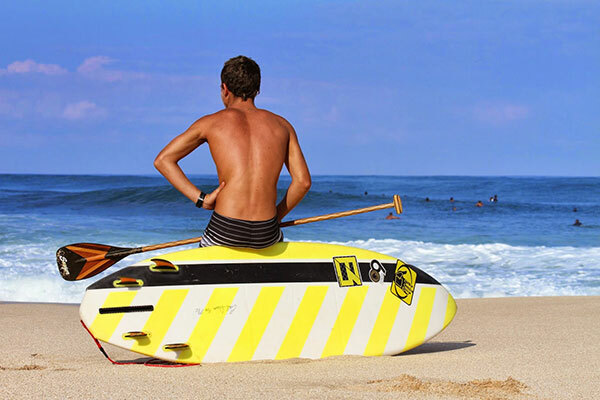 Aloha from Haleiwa, Oahu this is Mo Freitas and I’m going to talk to you about my Sawyer Ripper “X” paddle. Before we get there, I want to say the waves here on the North Shore have being massive, lots of barrels and broken boards. As a Stand Up Paddle surfer, I like to have all my equipment as strong and as reliable as it can be. That’s why my go to paddle for surfing is the Ripper “X”. Here are a few Pros and Cons about the Paddle. Let me start out with the Pros; the Ripper “X”, being wood, makes it an extremely durable and flexible paddle. For example, I only use the Ripper “X” at pipe because I can rely on it not breaking. It’s a lot more “showy” than the carbon paddles. The wood really brings out the beauty in these paddles. The construction of the paddle is as flawless as the way it performs. The blade cut on the Ripper “X” is different, with more of a narrow, straight cut. Because of the Ripper “X”s weight, it has a little more momentum when transferring from one side to the other. I like using the Ripper X for training and free surfing, because the weight difference makes using the TSR later, in a competition, a breeze. Let me conclude with a few cons of the Ripper “X”. First it’s not as aerodynamic and sharp as the TSR. Another disadvantage is with it is the weight. Because it’s wood and so strong the weight comes with it. That is really the only reason I don’t use the Ripper X in contests. 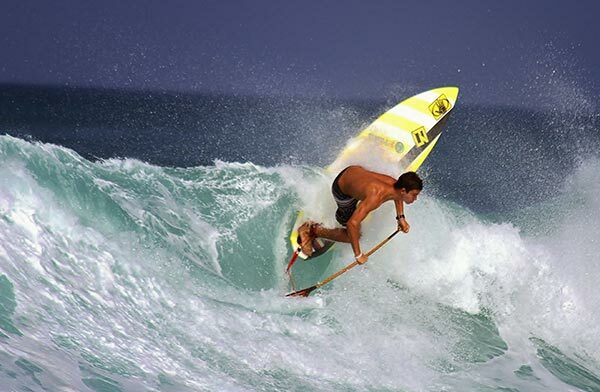 Other than it being bit heavy, the Ripper “X” is a performance enhancing, and reliable paddle.